When hordes of eighteen-year-old schoolies descend on the Mornington Peninsula to celebrate the last of their exams, the overstretched police of Waterloo expect reports of party drugs and underage drinkers. Maybe even drink-spiking and sexual assault. They don't count on a brutal bashing that attracts political attention. The victim is connected, and now Detective Inspector Hal Challis is facing interference from on high. Newly embarked on a relationship with his Sergeant, Ellen Destry, Challis doesn't really need the brass looking over his shoulder. Then a bludgeoned corpse is found outside town, and it's clear something much darker than adolescent craziness is going down. 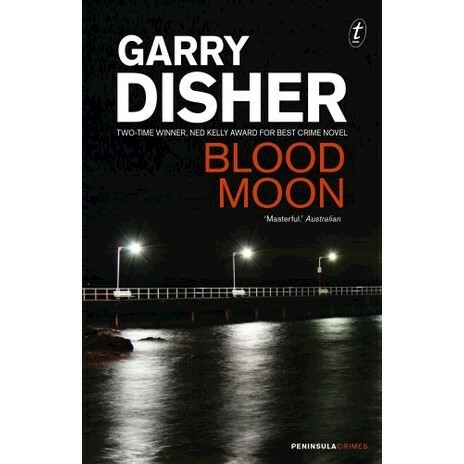 Blood Moon is the fifth in Garry Disher's celebrated series of novels featuring Hal Challis and Ellen Destry. The first, The Dragon Man, won the prestigious German Crime Fiction Prize and the fourth, Chain of Evidence, won Australia's biggest crime writing prize, the 2007 Ned Kelly Award.